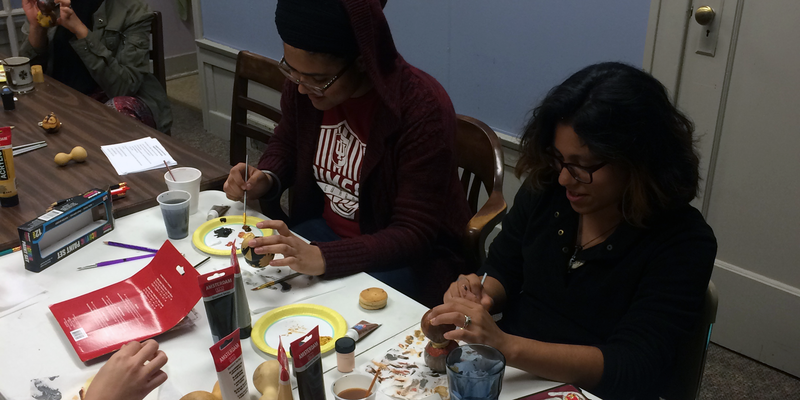 A new initiative started this year by Indiana University’s La Casa Latino Cultural Center, a program within IU’s Office of the Vice President for Diversity, Equity, and Multicultural Affairs (OVPDEMA), is somewhat unique when compared to some of its other offerings. La Casa’s Wellness and Culture Talking Circle series, which occurs monthly, combines aspects of Latin American culture with a wellness check for students. The series was brainstormed by La Casa Director Lillian Casillas-Origel and staff member Leticia Zapata Gonzalez. The duo wanted students to feel comfortable opening up about their concerns, while incorporating cultural traditions from different Latin American communities. “It’s really hard to get the students to come to mental-health programs dealing with stress, depression, etc. So, one of the things that the students gave us feedback about was they wanted to see more cultural events. They wanted to explore more diversity within Latin American culture. In the Latino community, we have these talking circles. When we have problems, we have a tendency not to go to mental-health professionals. Instead, we keep it within the family,” said Casillas-Origel. Not only is it attracting a new audience, but they bring other new people. That’s what we like to see happen in our programming. It’s a communal retention initiative. Zapata Gonzalez, who Casillas-Origel claims is the more artistic of the pair, expounded about the craft-making portion of the event, which has drawn as many as 30 student participants. 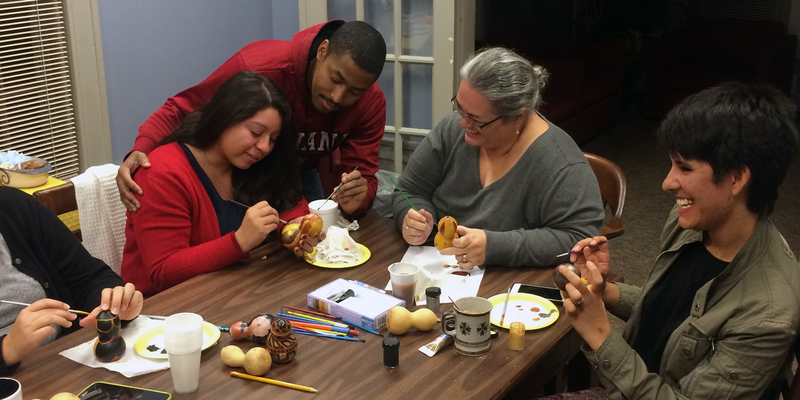 Thursday evening at La Casa, there was a definite sense of community as conversation flowed while students worked on their gourds. “I’m not creatively inclined, but I like the events. I thought it was cool to learn about how different cultures practice stress relief through the arts. I was a little skeptical at first. I thought, ‘I’m not going to be able create this,’ but the instructions were pretty clear and it was nice that while we were doing it, we were able to learn about the significance,” said Stephanie Huezo, a Ph.D. student in history from the Bronx, N.Y.
La Casa brings in a campus partner to co-sponsor each event. The Office of International Services was Thursday’s partner, and past partners include the Center for Human Growth and Counseling and Psychological Services (CAPS). “One of the reasons we came up with the gourds was that we were looking at different cultures. The ideas of gourds came up because gourds are very fall-related. We have a garden here, and people usually pick pumpkins and gourds in the fall. We did research on Latin American gourds and Peru kept coming up,” said Casillas-Origel. “The goal is to focus on a different Latin American country every month. For the spring, we haven’t made a decision yet. We want to do it as authentic as we can, but the challenge is buying materials from an approved vendor in the United States that’s not ridiculously expensive and for those of us who are not artistically inclined, something that we can learn and teach while making sure we’re being culturally sensitive. That’s kind of our criteria.